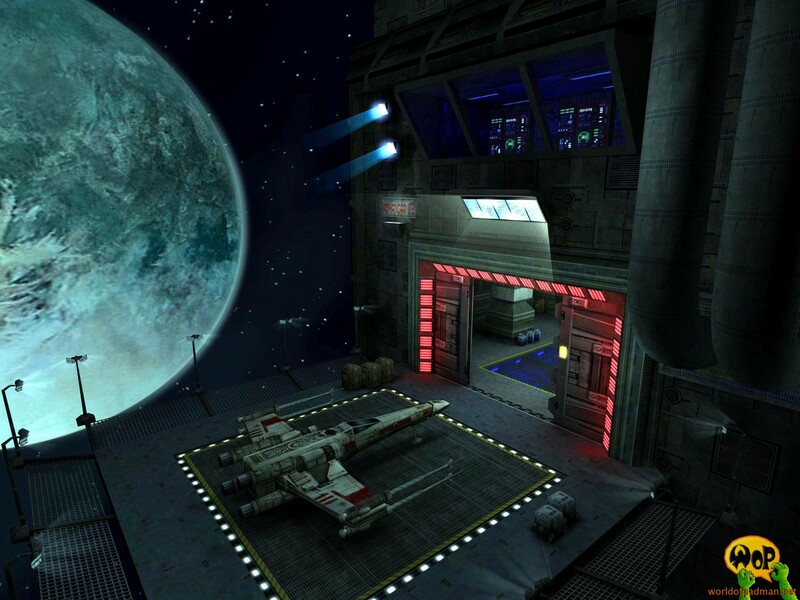 Star Wars: Jedi Knight II is a series of games evolving around the phenomenally popular Star Wars movie franchise. Many spin off games have resulted but few have captured the nature of the force and all awesome things associated such as wielding a light saber as well as this game. Battle your way using an array of guns the always handy light saber and of course dark force powers! Also in the works is many modifications which will see players battle more never before seen Star Wars foe and add many intriguing new game play elements that are certain to keep both Star Wars enthusiasts and gamers entertained for hours. So be sure to scope out just a few if not all of the modifications created for this game! ENTE's PadHangar is the first of four small PadMaps for the game type Duel. Please check the README file (see description). and convert to a Duel Map. PADGARDEN, PADPOOL, PadSpace, PadKitchen, PadGallery deLuxe, PadShop and PadCrash. My EliteForce Pad-Maps; PadGallery, PadKitchen, PadGarden and PadCenter...! TONE for Q3A and EF (http://homepages.tig.com.au/~adbell/). -SLoB : (http://slob.org.uk/) Who found again enough time to prove the Maps on weak points. -the fantastic [PAD]Community (www.padcom.de) and all the PADMAN and PadMaps Fans, you are the best..!!! id, Raven and Activision for this cool Engine, the great Games and the fantastic textures. This level is (c) 2002 ENTE (Andreas Endres). non commercial CD's other medias or Mappacks without first obtaining permission from the author. You may not mass distribute this level via any non-electronic means, including but not limited to compact disks, and floppy disks. You must include this Readme file and the files unmodified ! COMPANY LLC. ELEMENTS TM & © LUCASARTS ENTERTAINMENT COMPANY LLC AND/OR ITS LICENSORS. sorry, for my english please..! !